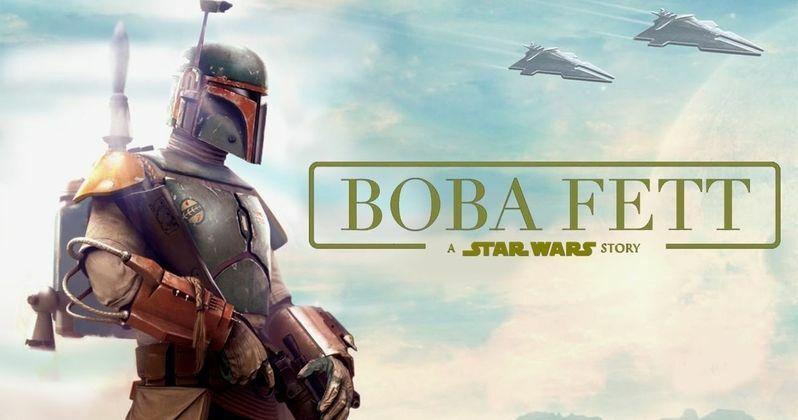 While Disney and Lucasfilm have yet to make a formal announcement, it's been confirmed that a Boba Fett movie is happening, with Logan director James Mangold at the helm. Mangold is set to both direct and co-write the Star Wars standalone centered on the most feared bounty hunter in the galaxy. So who is the other person writing the movie with Mangold? None other than Simon Kinberg. Even if you don't know him by name, you're almost certainly familiar with his work. Simon Kinberg has been a longtime producer and writer of the X-Men franchise. He got his start with the series during the much-maligned X-Men: The Last Stand, but is actually trying to make amends for that as we speak as he is making his directorial debut with X-Men: Dark Phoenix, which arrives in theaters in February 2019. He also served as a producer on Logan, making this something of a reunion for him and James Mangold. Also, what many may not know, is that Kinberg was an executive producer and writer on Star Wars: Rebels, which just wrapped up earlier this year. Considering that many consider Star Wars Rebels to be a great example of storytelling, having one of the guys who was directly responsible for making that show what it was co-writing the Boba Fett movie seems like a solid idea. It was actually rumored several months back that Simon Kinberg was working on a Star Wars movie and that just so happened to be true. James Mangold, on the other hand, sort of came out of left field. Many have been expecting some firm confirmation on the Obi-Wan movie, which is likely to be directed by Stephen Daldry, but that has yet to happen. Currently, there are very few details actually available for the Boba Fett movie beyond who is going to be working on it. There is also no timetable for release, but that could get a little tricky. Simon Kinberg has to finish up his commitments on X-Men: Dark Phoenix before shifting his focus here. James Mangold has his Ford v. Ferrari movie in pre-production right now which will almost certainly shoot before his trip to a galaxy far, far away. He's attached to The Force over at Fox. So his plate is full, but this could end up taking precedence. Not to dash anyone's hopes, but there's also a chance this may end up not happening at all. As we know, Fantastic Four and Chronicle director Josh Trank was attached to a Boba Fett movie at one point before he and Lucasfilm parted ways. The project was far enough along that they even had a teaser ready to show at Star Wars Celebration, but that never came to pass. For now though, it's back on with Mangold and Kinberg on the case. We'll be sure to keep you up to date as more details on the project are made available. This news comes to us courtesy of The Hollywood Reporter.